On Thursday, November 15th, Columbia University’s Zuckerman Institute held the latest installment of its Stavros Niarchos Foundation Brain Insight Lecture series. 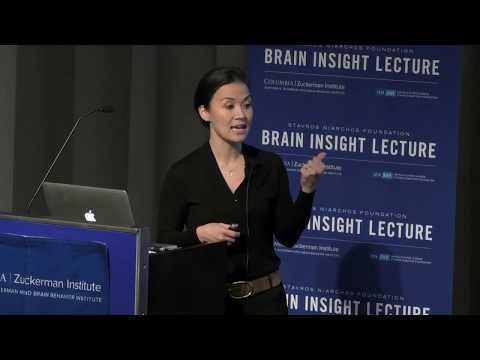 Dr. Nim Tottenham, professor of psychology at Columbia and director of the Developmental Affective Neuroscience Laboratory, discussed the importance of early experiences in the brain’s development. Representatives of the Stavros Niarchos Foundation (SNF) attended the event. The Brain Insight Lecture Series is one of two closely related initiatives at the Zuckerman institute supported by the SNF. The other, the Teacher-Scholar Program, connects New York City middle school and high school science teachers with the latest in brain research. Using the Brain Insight Lectures as case studies in subsequent workshops, teachers create a lesson plan for the semester to bring cutting-edge brain science into the classroom.